Other on-site facilities include a spa with beauty treatment, sauna and hot tub. Bicycle and car hire can be arranged at the Flamingo’s reception. 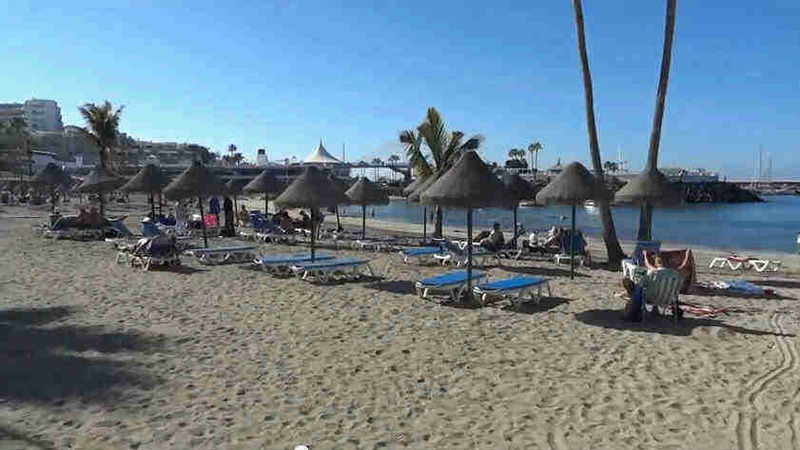 Iberostar Torviscas Playa 4-star hotel This property has agreed to be part of our Preferred Property programme which groups together properties that stand out thanks to their excellent service and quality/price ratio with competitive prices. Participation in the programme requires meeting a specific set of criteria and takes into account feedback from previous guests. 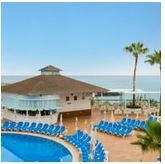 Iberostar Torviscas Playa is located on Fañabe Beach on Tenerife’s Costa Adeje. It has large gardens surrounding 3 outdoor swimming pools, a tennis court and a health and beauty centre. Mirador Del Golf has 2 king size bedrooms, 1 with its own en suite bathroom, and 1 triple bedroom. The private bathroom comes with a shower and there is an additional toilet. Golf Costa Adeje is just 5 minutes by car. It is a 15-minute drive to Las Americas, where you can find plenty of shops and restaurants. Tenerife South Airport is 25 km away. Score from 416 reviews: Good 7.1 There are 2 people looking at these apartments. 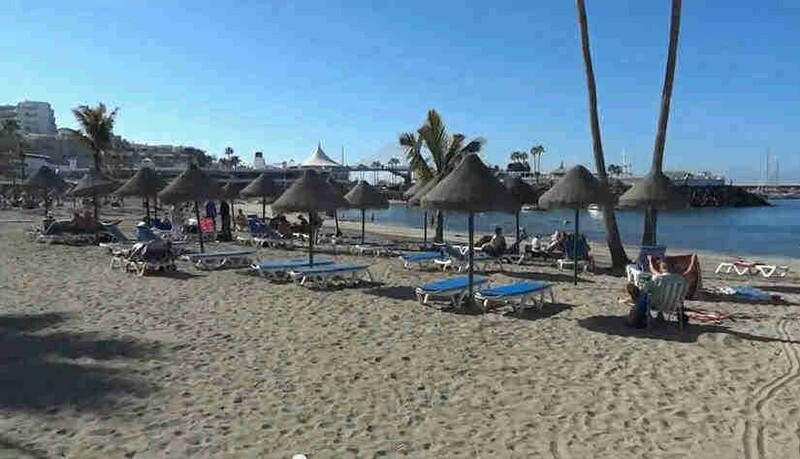 There is an outdoor pool, hot tub and 4-times-a-day shuttle service to the centre of Playa de las Américas. 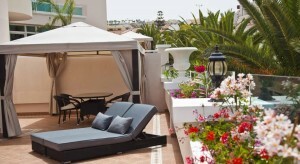 Aparthotel Panorámica’s apartments and studios have a furnished balcony with great views of the beach and Costa Adeje. All have a living room with a sofa bed, free satellite TV, while a safe is available for an extra fee. Kitchenettes include a fridge and ceramic hob. Apartments also have a separate bedroom, and some offer air conditioning. Free WiFi is available in public areas. Just a short video of me and the kid’s walking around Aqualand water park in Costa Adeje, Tenerife, and trying a few things out. It was just after the park had opened for the day on, and it was going to be a hot one. Adeje Tenerife Canary Islands. The park is pretty good for families with smaller children, with plenty of sunbeds for hire, and the spa section is a real treat for anybody that doesn’t want to throw themselves off of a near vertical drop slide or have no idea which way is up after another go down a twisty slide. If, like me, your kids have never been to a water park before and about the ages of mine (7 & 9), this is all the rides and attractions they will need (don’t forget there is also a Dolphin show in the price of the ticket). Aqualand cost us 61 euro’s for the day (two adults and two kids) and my kids could go on everything, where as Siam Park would have cost 110 euro’s and my kid’s would not have got on some of the rides. Siam Park is a Loro Parque-owned water park in Tenerife, Canary Islands, Spain. 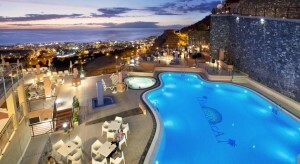 It is located on the TF1 highway in Costa Adeje. At 18.5 hectares (46 acres). Siam Park features a Siamese theme, and claims to be the most spectacular water attraction in Europe. Wave Palace: a wave pool with an artificial white sand beach. At 3 meters (9.8 ft) high, its waves are the highest of any wave pool in the World. The park’s surfing school will give surfing lessons at the Wave Palace. Mai Thai River: the world’s longest lazy river, which also has the highest elevation of any lazy river at 8 meters (26 ft).